The PulsePoint app empowers individuals in our community with the ability to provide life-saving assistance to victims of cardiac arrest. 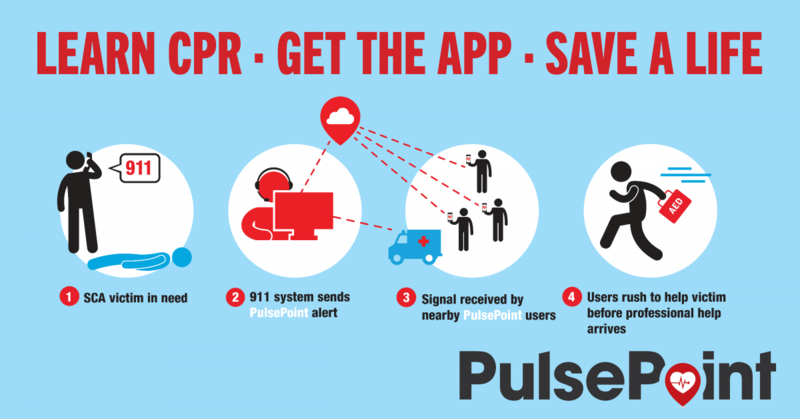 Users who are trained in cardiopulmonary resuscitation (CPR) can install PulsePoint on their phone, which then will notify them if someone nearby is having a cardiac emergency and may require CPR. If the cardiac emergency is in a public place, the location-aware application will alert trained citizens in the vicinity of the need for bystander CPR simultaneous with the dispatch of advanced medical care. The application also directs these citizen rescuers to the exact location of the closest publicly accessible Automated External Defibrillator (AED). Sudden Cardiac Arrest (SCA) can happen to anyone at any time, so PulsePoint Respond empowers CPR-trained citizens to help improve patient outcomes and save lives by reducing collapse-to-CPR and collapse-to-deﬁbrillation times. And when citizens are more aware of and engaged with the health of their community, they become better partners with local emergency services and a critical part of our response efforts. The PulsePoint mobile app alerts CPR-trained bystanders to someone nearby experiencing SCA that may require CPR. Reducing collapse-to-CPR times by increasing citizen awareness of cardiac events beyond a traditional “witnessed” area. 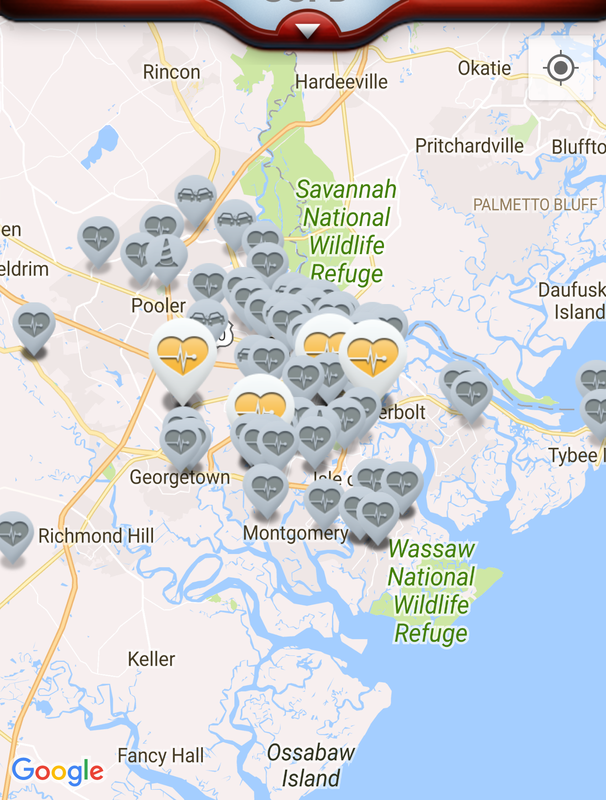 Reducing collapse-to-defibrillation times by increasing awareness of public access defibrillator (AED) locations through real-time mapping of nearby devices. The app is only activated if the event is occurring in a public place (the app is not activated for residential addresses). 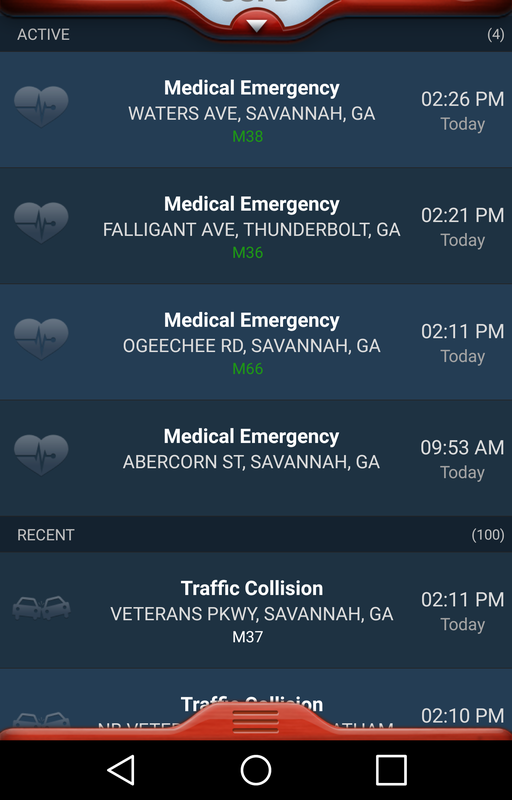 In addition to the life-saving CPR/AED functionality, the app provides a virtual window into fire and EMS activity in the community, offering a unique opportunity for civic engagement and transparency. Since the app requires a connection to the local public safety communications center, it is only available where adopted and implemented by the local Fire/EMS agency. Development and support for the application is provided by the PulsePoint Foundation, a nonprofit organization established to guide, enhance and expand the reach of the app.